mama hopped off the denial train this morning. yep, i brought up the whole bin of maternity clothes from its banishment to the basement. i've been avoiding this moment because i can't really justify buying new maternity clothes if i have old maternity clothes hanging in my closet. during my pregnancy with piper, it was mostly winter and we lived in a little mountain town where i once was accused of "dressing up" while wearing a plain black t-shirt, jeans, and a necklace. 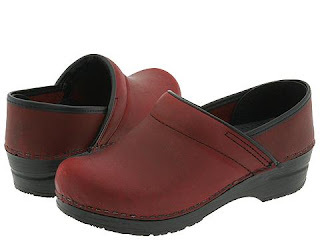 needless to say, it didn't take much effort to still look & feel cute in a town where stylish is the latest color of fleece from patagonia and dressy shoes are dansko clogs. so, i had a few cute things, but mostly just wore the same pair of jeans and t-shirts. i've kind of been dreading opening the Maternity Bin because i couldn't imagine finding much to be excited about. i was right. opening that thing was de.press.ing. any of you who've been pregnant more than once probably know where i'm coming from... after nine months of wearing the same dang outfits over and over and over, you can't wait to shove that stuff in a box and never see it again. so when you have to resurrect it, smellin' all old and lookin' all wrinkly, it's not quite the same as receiving the hand-me-down box from your older, richer cousins who wore all abercrombie and j.crew. in my Maternity Bin, i discovered that i have bought way too many jeans (in the never-ending search for the pair that won't need to be hiked up every time i move), but hardly any nice tops. with piper i ended up wearing a lot of my normal clothes until they were completely stretched out and ruined. which, of course, resulted in more shopping. as terrible as this is for me, i do feel a teeny-bit bad for mr. arganbright. a month ago i'm all, i need new jeans! my regular jeans are too small and my maternity jeans are too tight. and a week ago i'm all, the lining of my coat is bursting open, i need to find a maternity coat. and now i'm all, i have no cute maternity shirts to wear and i don't want to ruin my normal clothes again. i'm pretty sure all he's hearing is: ch-hing, ch-ching, ch-ching! poor guy. all this hassle (and money) for clothes that i'll wear less than a year and won't even like next time i'm pregnant. It sounds like a Star Wars guy.